Sara Hill: Enhancing the employee experience; increasing employee engagement; developing people talent strategies to bring Ceridian to next level. Sara Hill is the Chief Human Resources Officer for Ceridian. In this role, Sara oversees the global human resources functions across Ceridian and is based in Minneapolis. She has responsibility for enhancing the employee experience, increasing employee engagement, and developing people and talent management strategies to bring Ceridian to the next level. Prior to joining Ceridian, Sara most recently served as Senior Vice President, Human Resources at U.S. Bancorp, providing HR leadership for the Wealth Management and Securities Services division. 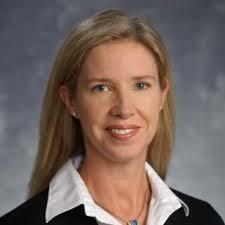 Sara has worked at Fidelity Investments as Vice President of Management Effectiveness. She has also been a consultant with The HayGroup, where she led HR consulting engagements primarily in the areas of organizational effectiveness and management development. Sara serves on the Board of Directors of the Minnesota Children’s Museum. She holds a Bachelor of Arts degree from the University of Pennsylvania and an MBA, with a concentration in HR, from Vanderbilt University.